Smart Cover is one of the interesting inventions of Apple for the iPad 2, as the Smart Covers perform many actions for the users on the iPad 2, therefore, Apple has always seen a very big demand for the Smart Covers for iPad 2 and other iOS devices. As we know, currently Apple has only introduced the Smart Cover for iPad 2, and it works awesome on the device. As it protects our device front panel, as well as provide us a cool direction to perform different tasks on our device. It all depends on our use of Smart Cover with iPad, if you own one, you must know what I am talking about. We don’t know, why Apple has not introduced the Smart Cover for iPhone users, as the users found out Smart Cover useful for iOS devices. However, here comes the first Smart Cover alternative for iPhone users, the tiny Smart Cover for iPhone aka TidyTilt a kickstarter project. The project has already made it the way to the production, and just waiting for the ending dates. 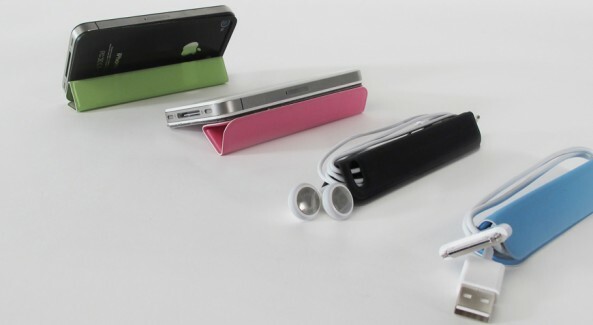 The TidyTilt is a magnetic Smart Cover type cover for our iPhone device, which is said to be work with iPhone 4 and iPhone 4S. It places with the back panel of iPhone and provides Smart Cover like protection our device back panel. 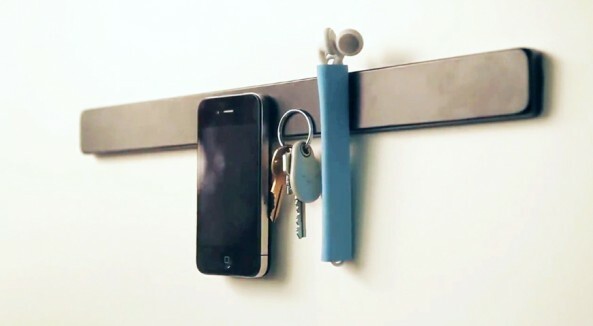 The TidyTilt seems to be a genius cover for the iPhone, as it provides a way to hang or hold your iPhone to any magnetic field, like key logger, and also provide the method to manage your device accessories in a great way. The TinyTilt is a good kickstarter project for iPhone, and already received a big amount from the supporters, but if you are looking forward to get one make your pledge of $19 or more, with free delivery of the device inside the United States.